Today at homify, we want to talk about something that is not very important to most people at this stage but some day will become a huge priority. After so many years of working and giving the best of what we have to our families, friends and careers, there will come a time where we need to retire, to enjoy life, to relax and feel at peace. Architects are specifically commissioned to build a space that is designed for these purposes. These designers ensure that these homes are good quality and are filled with the magic of innovative design. 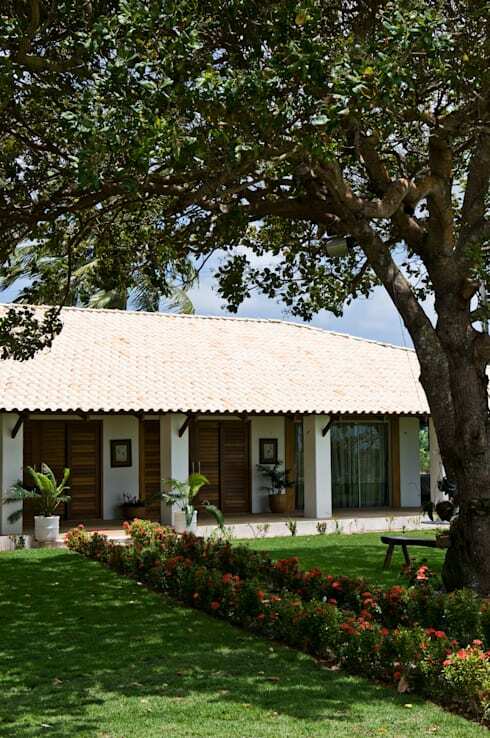 As an example, today we are bringing you an extraordinary retirement home designed by architect professionals Renato Teles. They will show us how to create a beautiful home where we can relax and enjoy the scenery. Don't miss this ideabook that we have prepared! Like any fairytale or romantic song about growing old, this home is the picturesque version of it! Surrounded by beautiful plants and flowers, this home is warm and inviting—we can't wait to step inside. We also love the shade that the big tree offers the garden and the way the colours of the facade work together in perfect harmony. Before going inside, we will explore the exterior spaces a little bit more. Here we can see that the spacious terrace under the great gabled roof has been completely utilized. 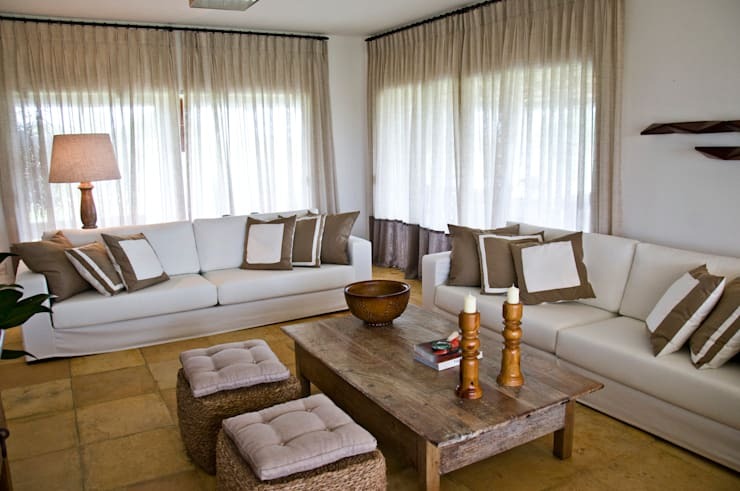 This is a space where we could pass time drinking delicious tea or coffee, relaxing in the large white armchairs. 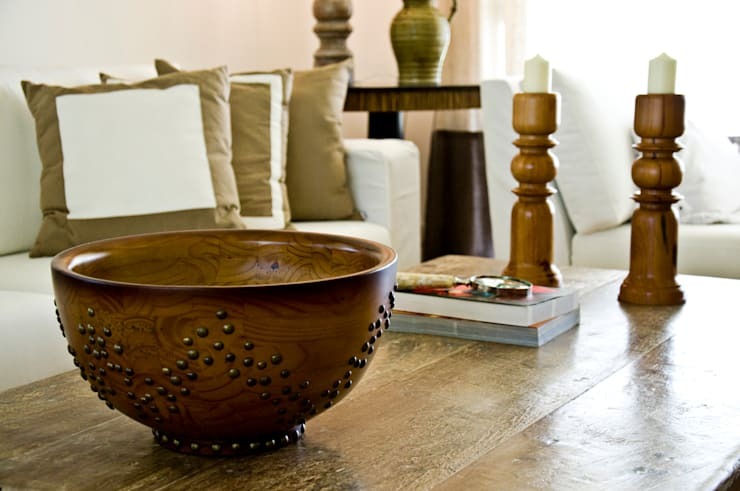 Don't you think the wooden furniture emanates a feeling of elegance and comfort? Looking for a similar roof for your terrace? Have a look through these: 7 wonderful terrace roof ideas. Walking through a corridor or down a passage can be quite mundane it, but in this home we can see that it can actually be quite an extraordinary activity thanks to the space available, the shade provided by the roof and the special nooks designed for resting. 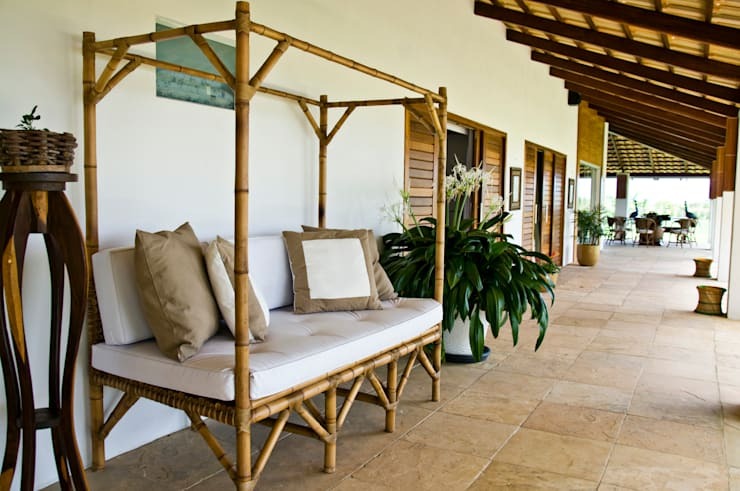 Don't you love this beautiful bamboo corridor seating area? 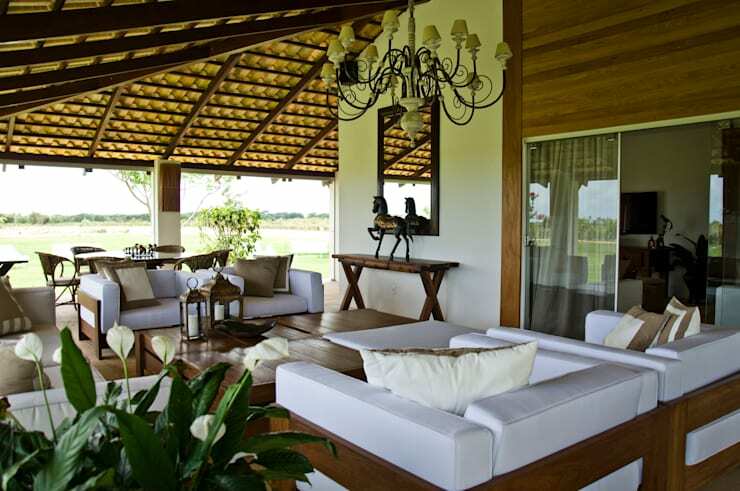 We can see how the furniture works in perfect harmony with the beautiful roof, the extraordinary wooden sliding doors and the wooden ceiling beams. The natural decor in the form of large pot plants is just the cherry on top! As we expected, the interior spaces are very warm and beautiful, with large windows that filter natural light through the soft white curtains, soft and comfortable furniture and some beautiful antique pieces. Note that the flooring is very similar to the flooring outside, which gives a unique sense of continuity with a discreet rustic design. The bedrooms take on a more special character and begins to include more personal decor elements, with a strong theme of symbols. The designer has placed a piece of thin wood around the perimetre of the bedroom, which almost looks like a little ledge. This serves to define the structure. 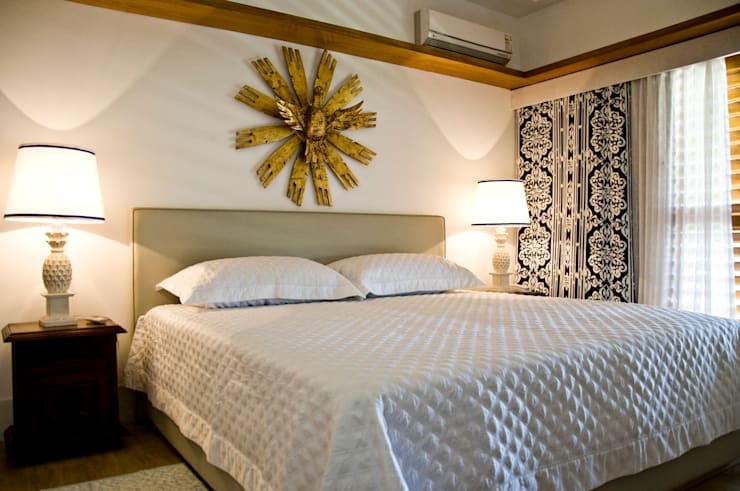 It also works in harmony with the black and white print curtains and the artistic sculptures above the bed. The bedroom is very warm and inviting, thanks to the wood. Have a look at these: Secrets to a cosy bedroom. The details are simple, classic and special, creating ambiance and atmosphere in this space. They include candles for a special evening, comfortable pillows to rest and a couple of books to enjoy some leisurely reading. Everything is designed and organised to create a sense of serenity in the home, where you can forget the world for a moment or two and meditate, read or rest. It is certainly a special home and the perfect place to retreat. Everyone deserves to be happy in a space like this one once they have passed through their youth. Is it time to rest and unwind? Would you do it in this home?